TEST RoboFEST 2015 is here. The 2nd edition of the RoboFEST robotics and automation festival will be held on the 31st of July to the 1st of August after a successful debut last year. The festival which is held once every year in July is a convergence of companies, schools, universities and individuals with an interest in science, technology, engineering and mathematics (STEM). Participation in the festival is from anyone who has worked on a local innovation, and from schools with robotics and innovation clubs which have something to show. Participants will be given an opportunity to design, build and program a robot to solve challenges on a field mat in two and a half hours. This year’s event will be held at Gateway High School, the same venue used for last year’s FIRST LEGO League tournament. Registration for the event is online and closes. on the 7th of July. The registration costs range from $20 to $25 depending on age and category for individuals and schools, and $100 for companies, which is reasonable considering a team of five pupils will only need $4 each. TEST (Trust for Education in Science and Technology) is an initiative led by Kenyon Stamps whose vision is to advance critical thinking and problem-solving skills in the youth of Zimbabwe whilst creating interest in STEM. 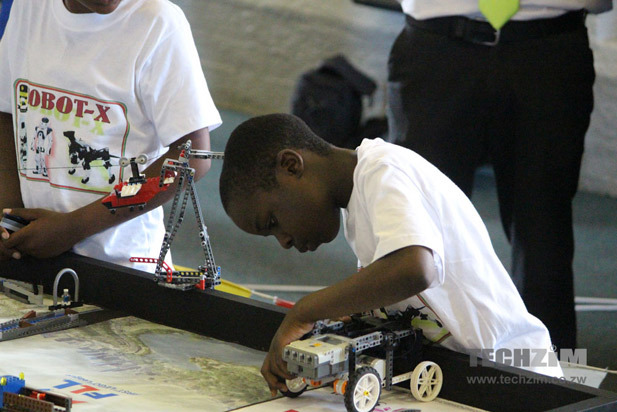 TEST has held numerous STEM competitions including the First Lego League (FLL) held every December, since 2010. Other competitions include Automation and Robotics Open section, LEGO Mindstorms Open Section, Micromouse and the Science Research Project. Last year’s RoboFEST held at Hypercube had 10 teams, three of which were girls teams from under-privileged schools, who having 4 weeks before known nothing about computers, programmed their own robots. The winning science team presented a solution which automated the way rubbish can be recycled into tar for patching potholes. This year TEST has also gone the extra mile to provide games and rides just to generate excitement for those who do not necessarily want to participate.